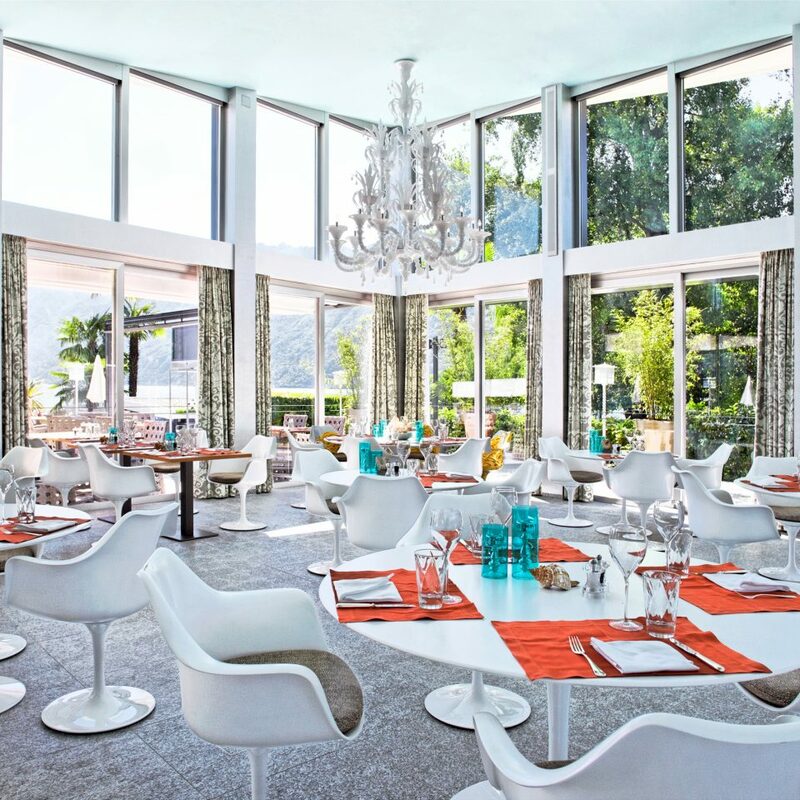 The Eden Roc name is synonymous with retro-style Floridian flash: witness designer Carlo Rampazzi’s riotous colors, bold patterns, and funky accents in the main-wing guest rooms or the chic 60s-inspired ones in the newest section, Marina. 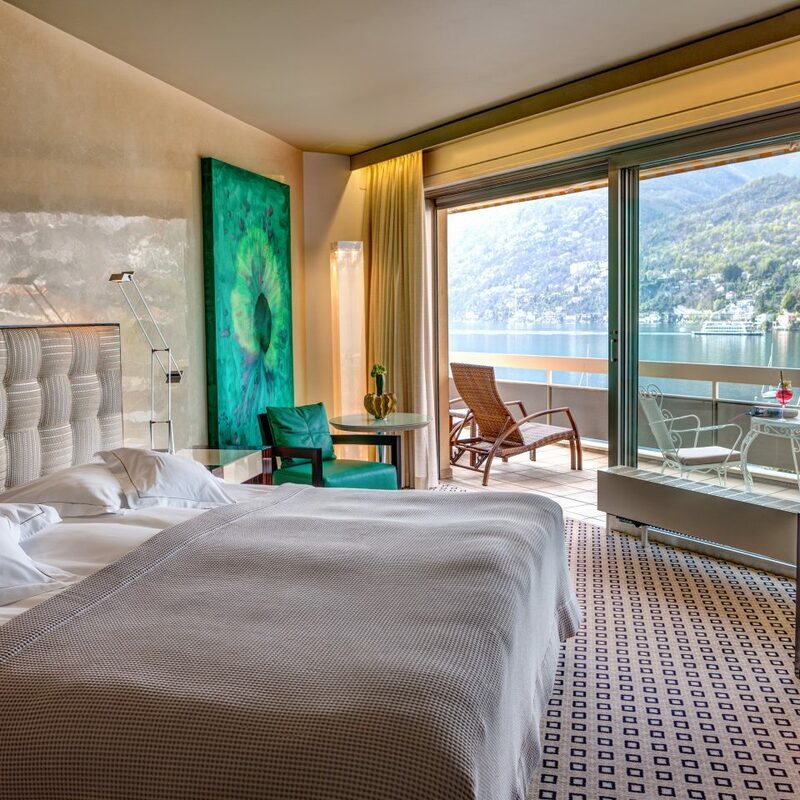 Many of the other ingredients for a hedonistic holiday are onsite, too: there’s a private beach, three pools, a yacht-filled marina, a stunning full-service spa, and a quartet of waterside restaurants. 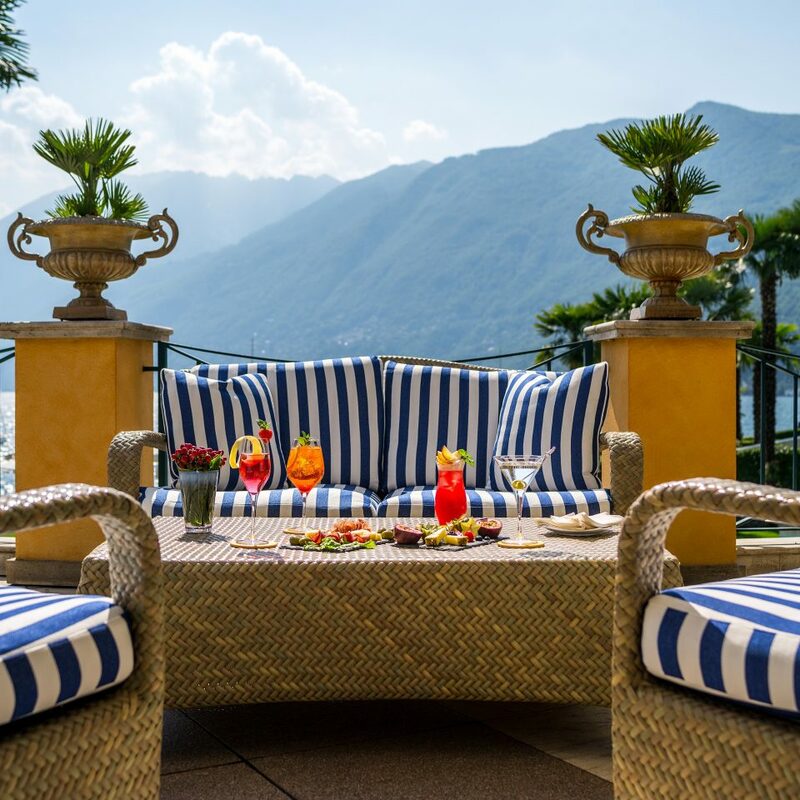 Nevertheless, the overall vibe is far more la dolce vita than Miami Vice (you’re in the Italian-speaking Ticino region, after all)—think quiet sunbathing, swimming and boating in lieu of any thumping nightclub or poolside DJ. 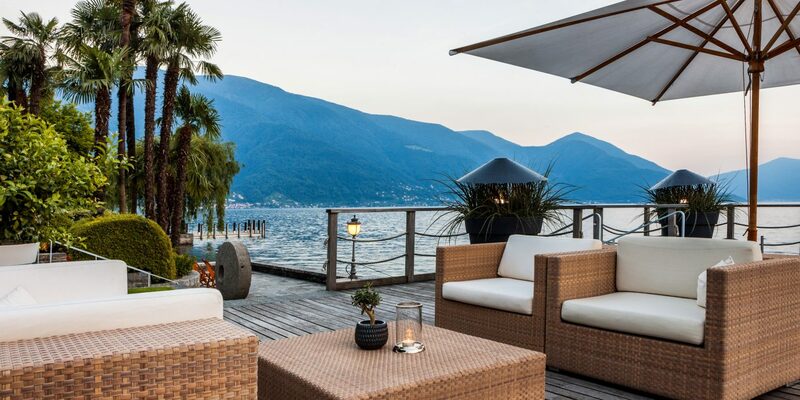 Underscoring its family-friendly philosophy, Eden Roc Ascona also promises free children’s programs in peak season and trained sitters year-round: divided by age group, the former offers the expected supervised activities for kids and teens along with extras like banana-boat rides and, this being Switzerland, etiquette lessons. 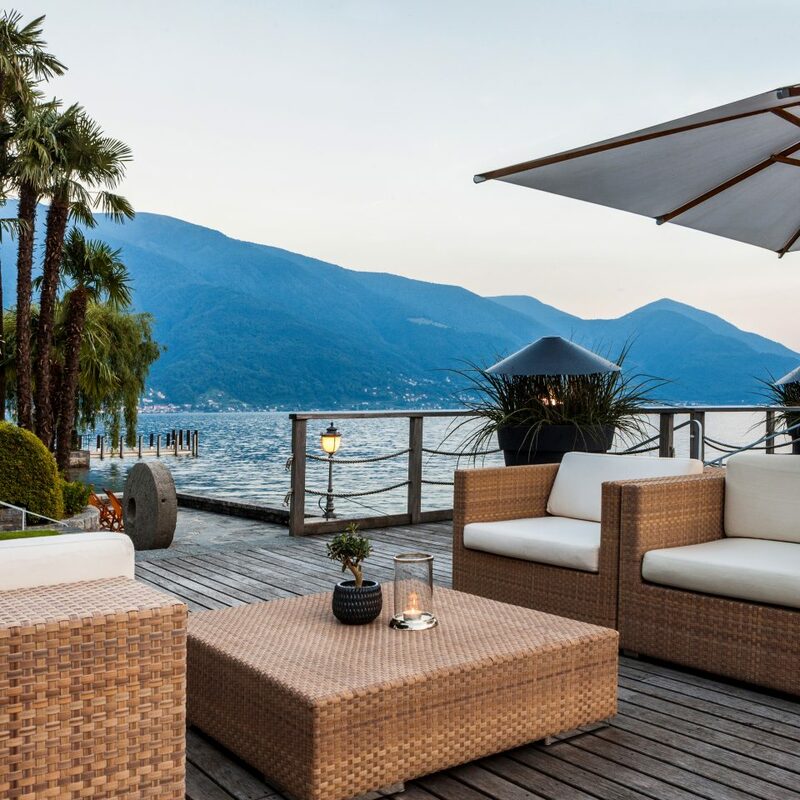 On the shores of Lake Maggiore, Eden Roc Ascona provides a classic beach experience. Guests tend to stick close by or take advantage of water sports like boating, waterskiing, and wake-boarding. 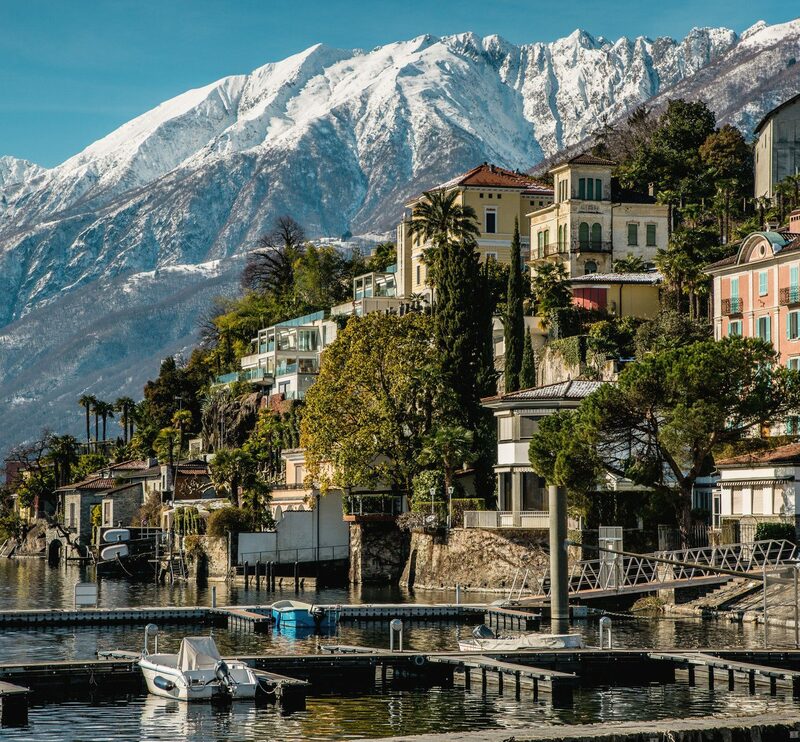 That said, Ascona itself is an Instagrammable resort town that offers a café-lined promenade and plenty of high-end shopping opportunities. 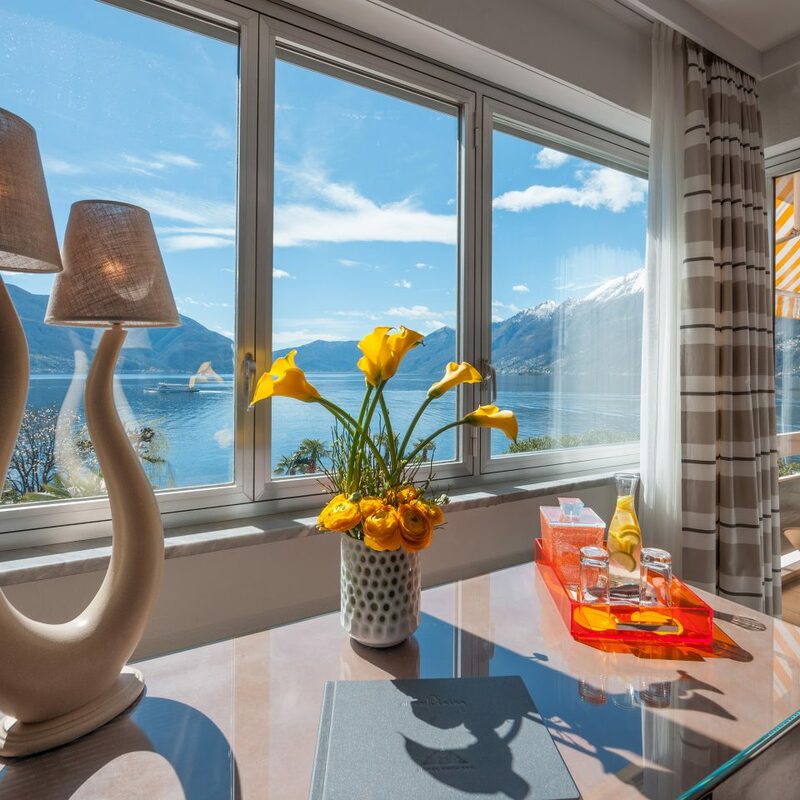 Its central piazza is five-minute walk away; alternately, you can borrow a bike or Vespa onsite and buzz into the lovely city of Locarno, where more is in store. The closest golf course is a five-minute drive. 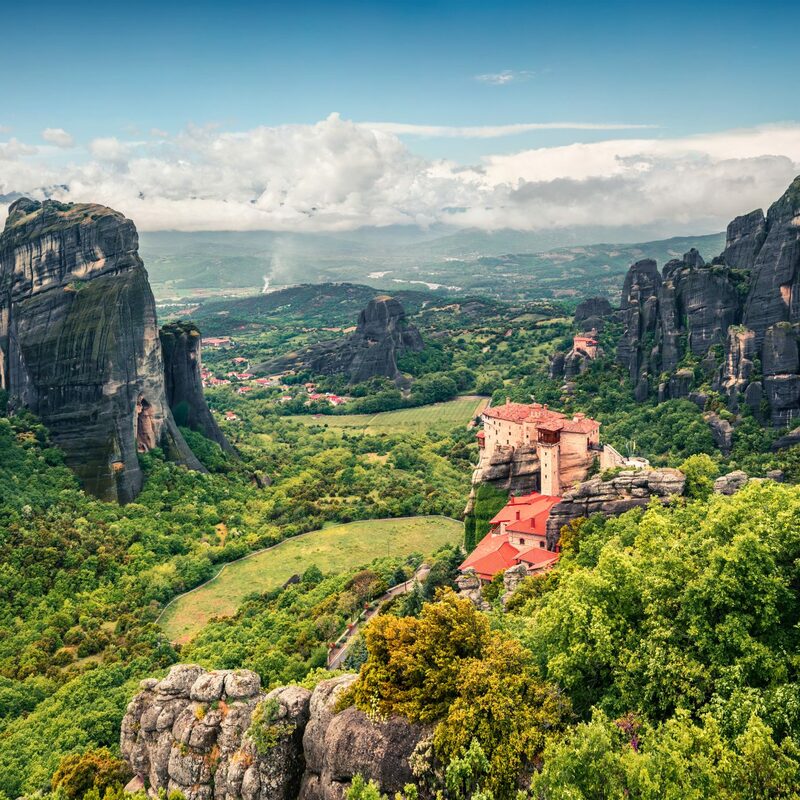 Want to explore further afield? 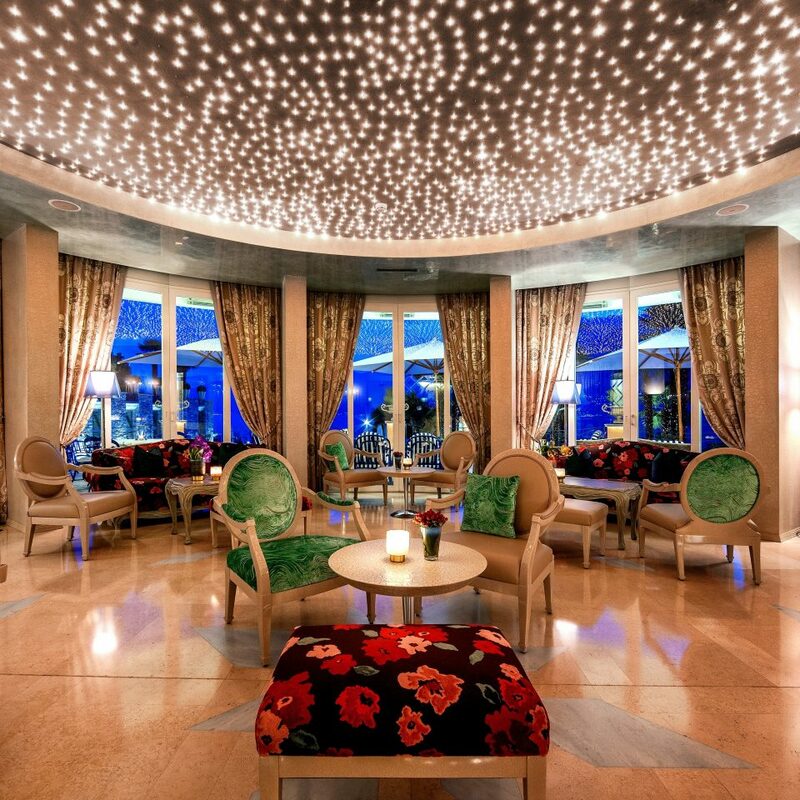 Eden Roc’s helicopter, limo, and charter boat services can take you there. An overdue review from our stay in August 2018, some 15 years after our first visit. It was good then and even better now. We had a superior room, not lake facing but as we spent most of the day in the gardens fronting the lake this was not an issue. 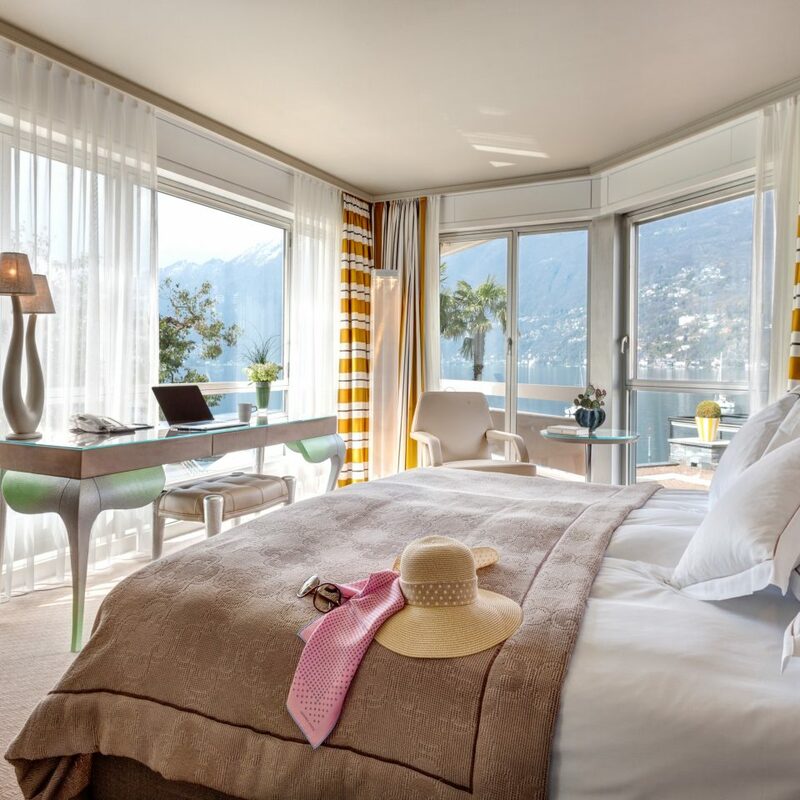 Housekeeping ensures the rooms are spotless with a Nespresso machine, courtesy minibar and fruit topped up daily. Quality beds and linens ensure a good nights sleep. Excellent buffet breakfast and we had dine around half board for evening dinner. The set menu offered a good choice selection each evening (typically 5 courses) and if you fancied a dish from the a la carte this was offered to residents at no extra cost. All the restaurant service was Swiss professionalism with Italian flair and a pleasant smile. 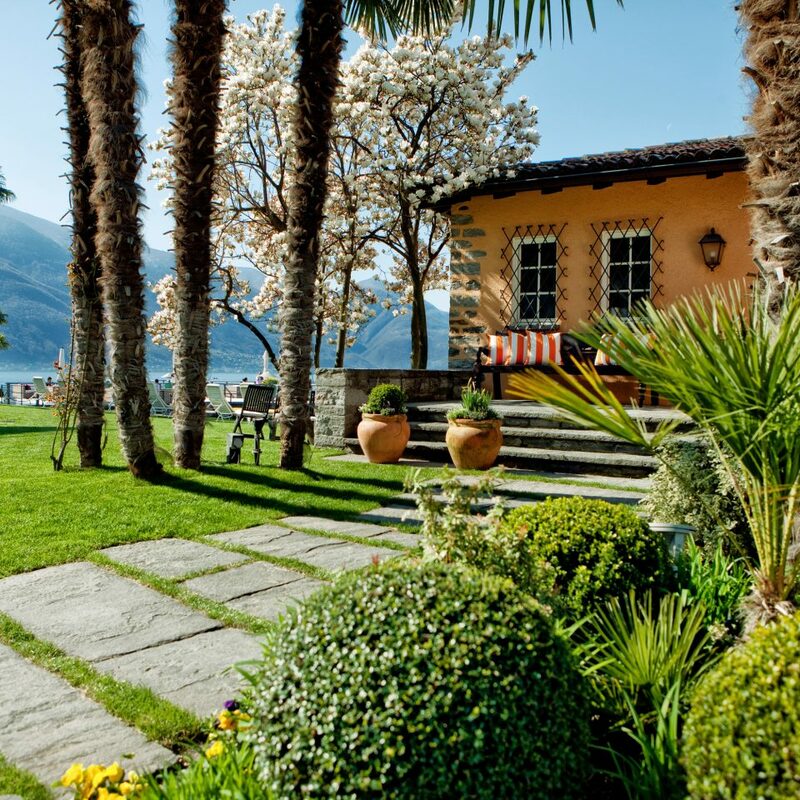 The gardens and pool area were very well maintained, and the views onto the lake and mountains just amazing. Water sports were on offer, some complementary - I enjoyed paddle-boarding on a few days. The hotel also has scooters and an electric Smart car that we used (all complementary) to visit some local sights. Yes, this hotel is not cheap, it's a luxury experience with mainly Swiss and German guests on our visit, but we will return soon. 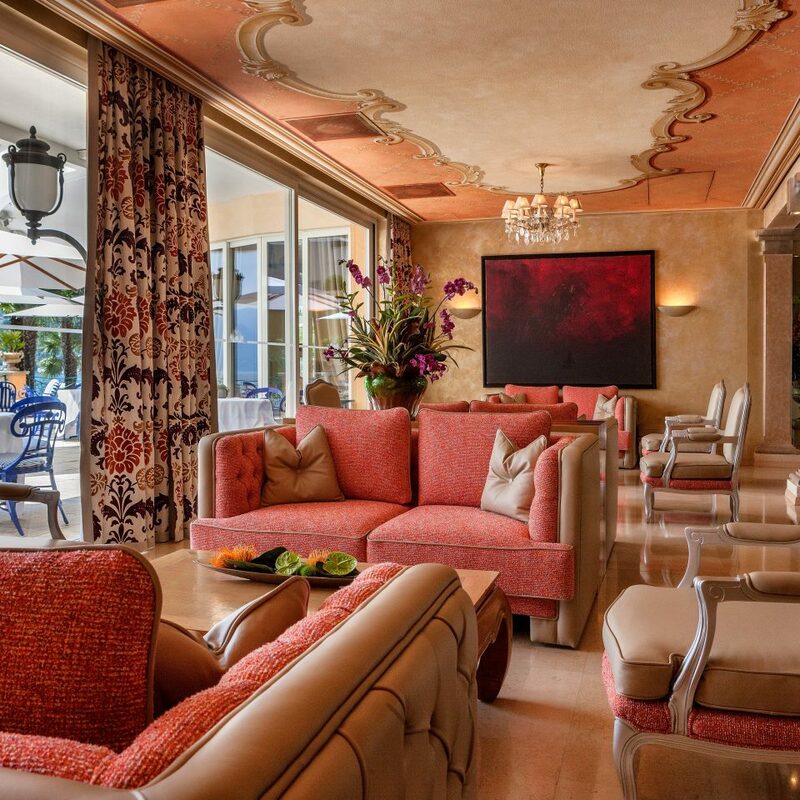 I stayed at the Eden Roc with my family during the holiday week, which is notoriously crazy busy. The hotel staff could not have been more delightful throughout. We had a bit of a mix up with our room and Shevonne, a manager at the front desk went above and beyond to straighten it out. Not only that, she also made sure to check in throughout our stay to be sure we were comfortable and satisfied which really made us feel truly cared for so far from home. We travel often and it’s rare to find management, like Shevonne, who go out of their way to the degree she did to treat us as if we were her own personal guests throughout our stay. Highly recommend staying here and know you will be well cared for by the lovely staff! This was the highlight of our trip staying at your luxurious resort. You were all incredible in helping us make our visit to Ascona and our stay at your Hotel a memory we will never forget. It was our 35th wedding anniversary, best years of my life, and Connie’s 1st time to the Swiss Italian Alps region. The lunch and dinners you arranged for us at Seven, Da Enzo, Verbano on Isola Superiore and our last night at your restaurant La Casetta were all perfect! The staff when we arrived and during our stay was just exceptional – everyone went out of their way to make us feel welcome and comfortable. Our deluxe suite room was exceptional. 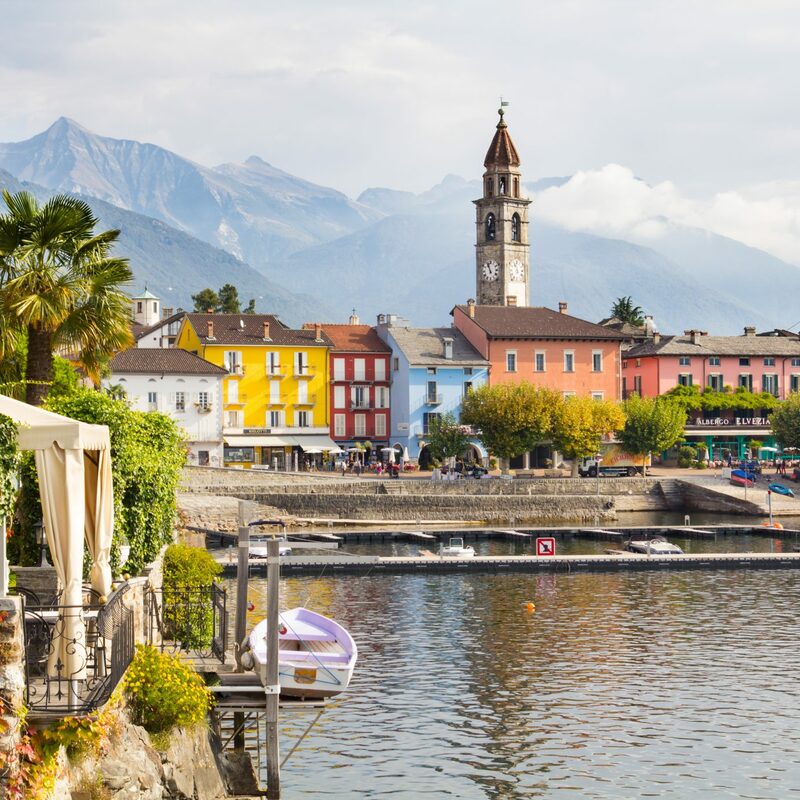 We also enjoyed the promenade along the Ascona water front and the bell tower. What a great city and the Hotel Eden Roc staff made it special. 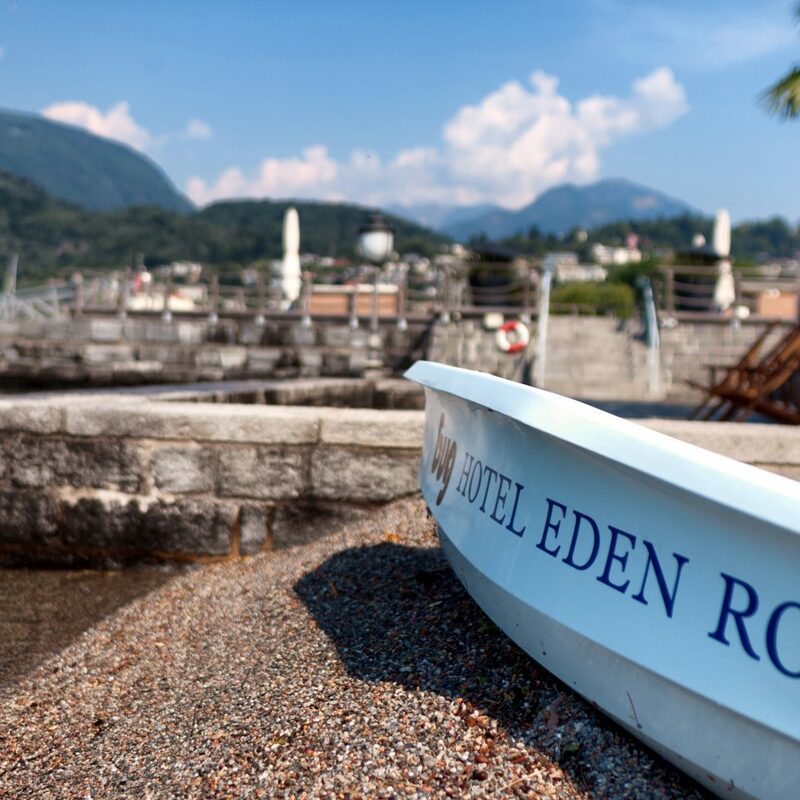 A fabulous few days at The Eden Roc in Ascona. The hotel exceeded our expectations! 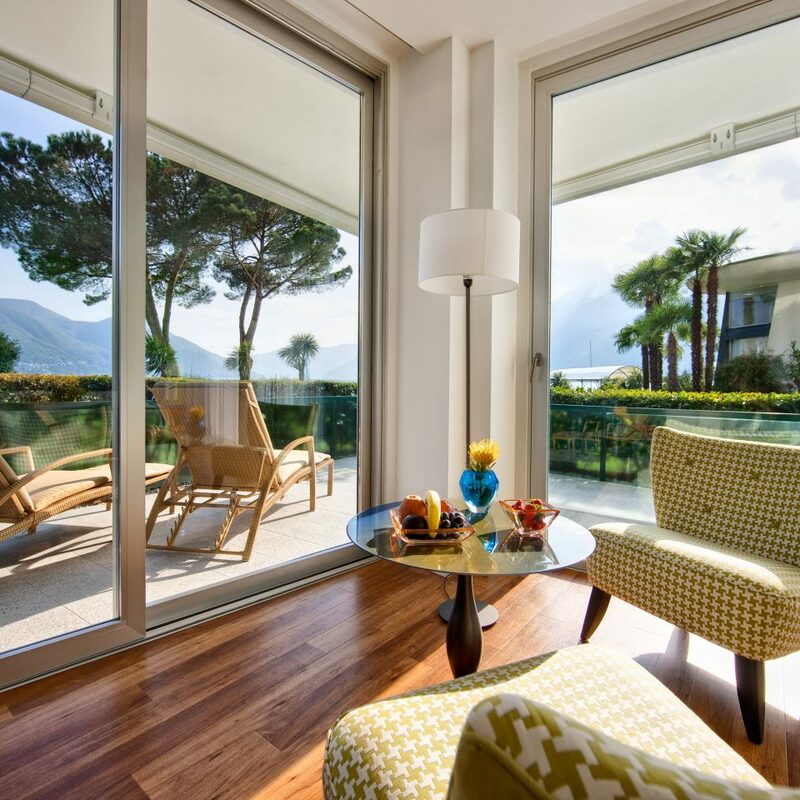 Spectacular location, just a short walk from the water front in Ascona. Lovely gardens, pool & "beach" area. Everywhere is well maintained & clean. 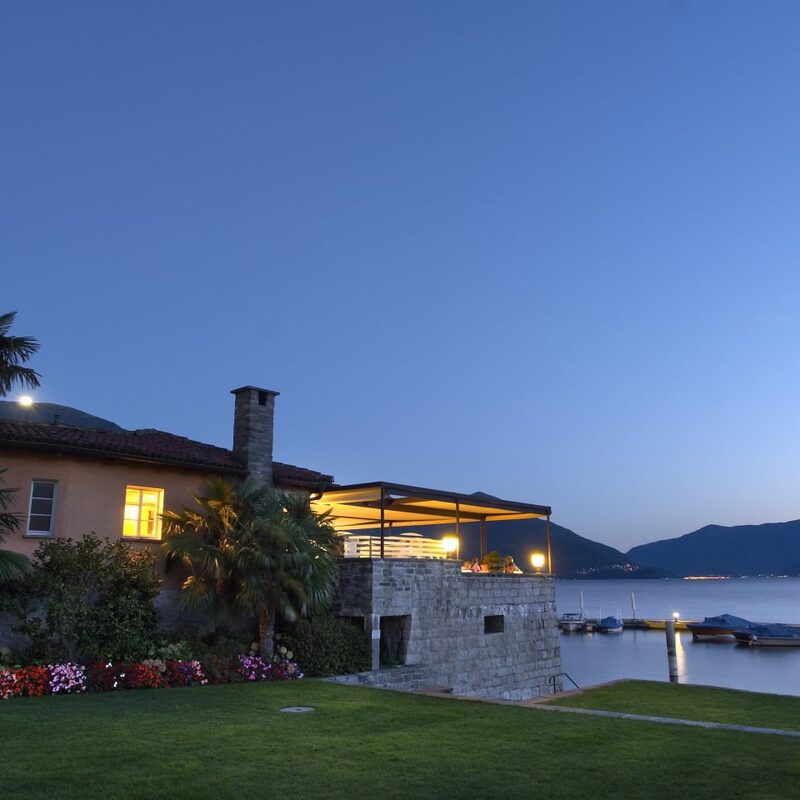 There are several restaurants all with terraces overlooking Lake Maggiore. 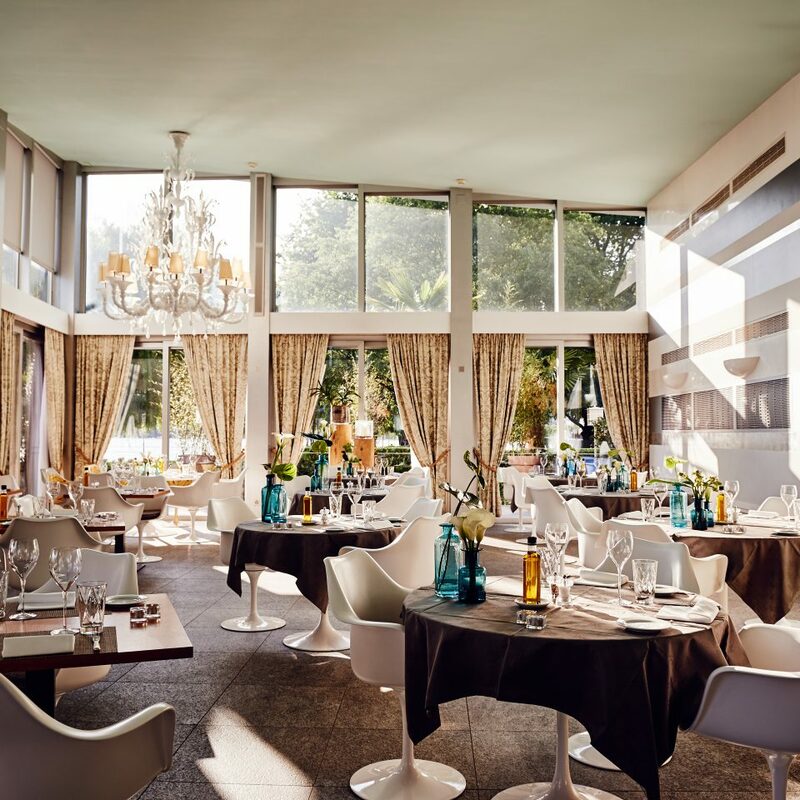 Food was very good - we took half-board & dined in the main Eden Roc restaurant where we could choose anything on the daily menu or à la carte (except the caviar!). Staff were all very friendly & helpful. We thought there were quite a few nice little touches - in addition to drinks/fresh fruit in the room, the hotel offered the use of bikes/e-bikes & stand-up paddle boards, and on departure we were given some cold water & snacks for the drive home. Although this is not a cheap hotel option, we felt it was reasonable value for money.Can't wait to return...! Stayed at the hotel in august 2018. We had the lake facing junior suite. The views were absolutely spectacular. The location of the hotel can't get more perfect. 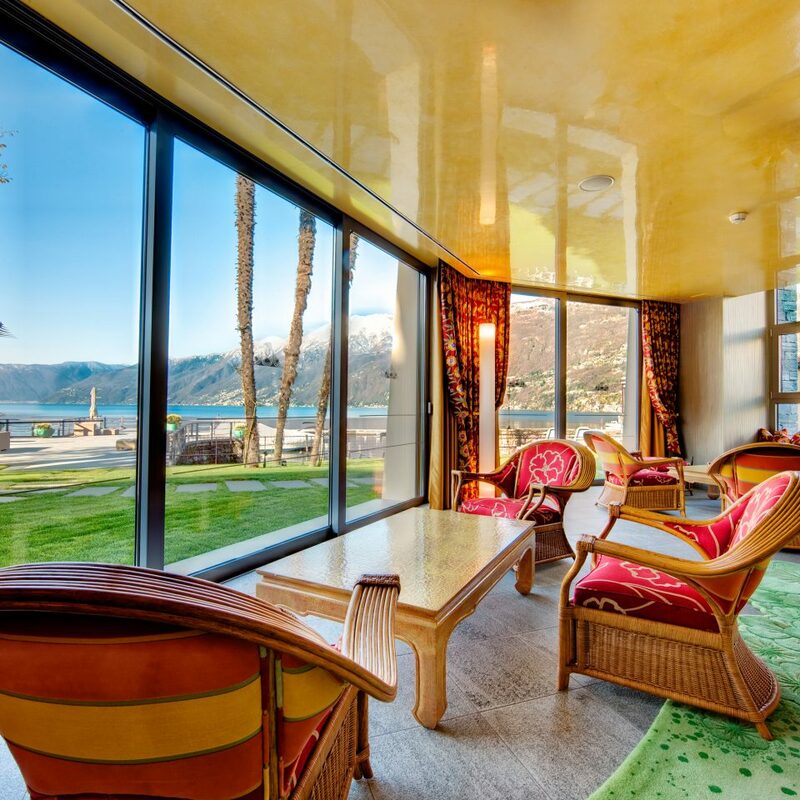 It is 50 meters from downtown scone with amazing cafes, it has the best views of the lake. The restaurants at the hotel are very good with amazing views. we had a very good time at the rating night where the hotel had live music to dance to. 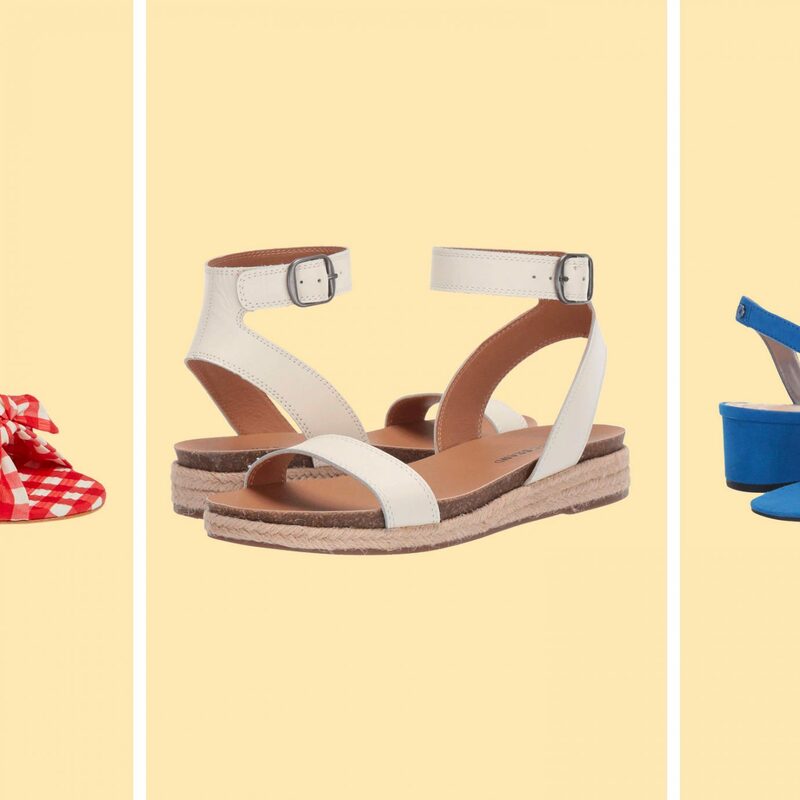 They have 3 pools which are more than enough for your swimming needs. 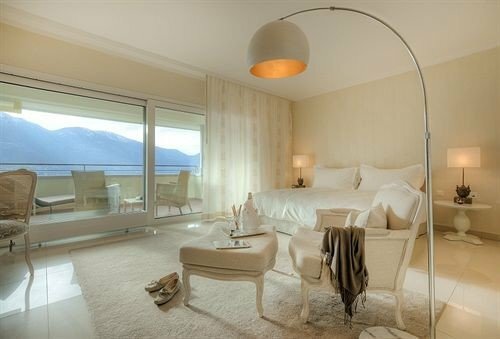 I would recommend to spend extra and take the lake view rooms, it is totally worth it. The hotel gives cycles to its guests, so you can explore the little town yourself. Only thing i think that can improve are the room interiors, they look aged and for the money you pay, you expect something slightly better for a 5 star hotel . We had a bit of an issue with he AC on the first night as well due to ageing electricals. am sure the hotel will renovate in due time. in the mean time it is still very good hotel in the middle of paradise.